It’s springtime in England and thawed ground in still-bare gardens is ready to erupt, dotted with splashes of yellow daffs and Forsythia, with the promise of much-welcomed warmer winds, rainbow waves of Tulips and shooting perennials. In a few weeks, the green will be knee high but, for the moment, we can still visualise more clearly, from the ground up, how this year’s garden might take shape. To spy in our mind’s eye how the planting might pan out, it’s good to recall last year’s successes and failures as well as to capture precious scraps of inspiration from visiting other’s green spaces. Rummage for any notes made on colour, shape, texture and style and plan to provide supporting structures throughout the garden for new planting treasures. In the open areas of the garden, the planting can be lifted, raised up via garden arches, connecting hedges, wirework fences, garden trellis, arbours, even topped with the focal point garden pinnacle of a timelessly glorious gazebo. Firstly, the material of these structures must be failsafe. Woody trained plants such as climbing or rambling Roses, Wisteria and Laburnum will be supported by and intertwine with an arch for years so wooden arches, prone to rotting and storm damage, are not a great investment. Garden Requisites’ zinc galvanised steel garden arches are rust resistant, super solid and will last a lifetime, or two, or three lifetimes. 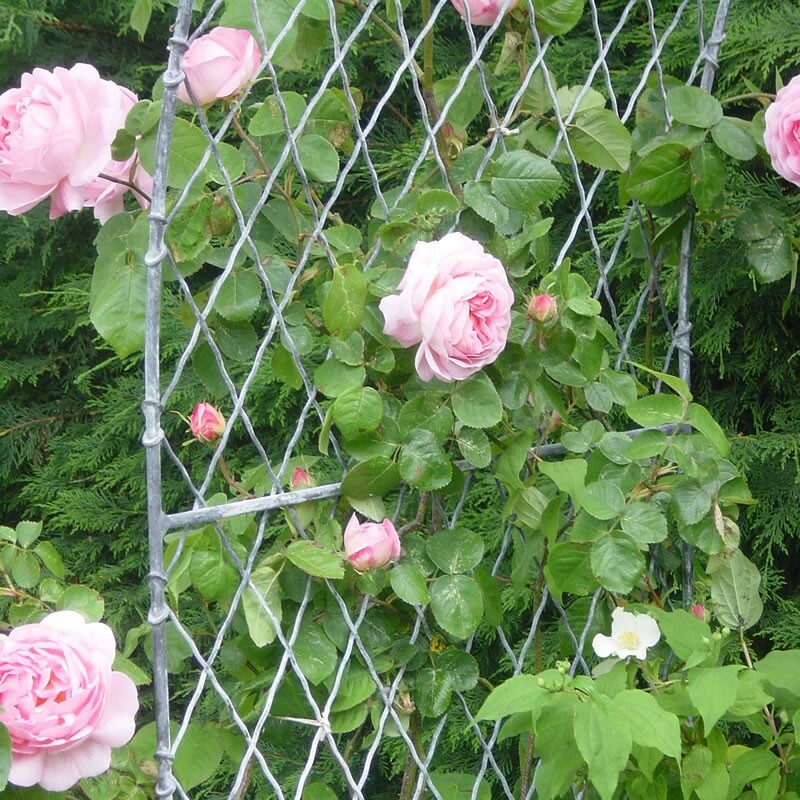 The traditional English wirework design also lends an open lattice surface for twining climbers to cling and grow through. Big tick. Next, where to place an arch? There may be an obvious site in the garden, crying out for a bountifully blooming arch, at the main entrance or, for more ambitious projects, connecting ‘garden rooms’ that are bordered by high hedges or trellis fences. Wherever it is placed, a garden arch will affect the navigation of the garden, providing cool shade in high summer and precious cover for insect and bird life. Multiple arches might also be placed closed together to form enchanting, straight or curving tunnels. These arched gateways and tunnels give height and add spades of character to the journey through a garden, drawing the visitor in to a transformed world, a sensory oasis. They enable the garden guest to lose themselves. They make it magical. To get a sense of this wonderfully romantic notion, do float across to our Pinterest board – Magical Gardens. See what we mean? Now to the nitty gritty. Our rounded Roman and more pointy Gothic style trellis arches are available in a variety of sizes and can be made to bespoke measurements – always music to the ears of Garden Designers. Arch side panels and even gates can also accompany the main arch. Delivered worldwide, arches are transported in two parts with integral 15’’ legs that can be simply pushed or concreted into the ground. The larger garden arches must be concreted into pre-dug holes, or if bolting onto a terrace, do talk to Hilary and team so we make bolt-down sides. Once that’s done, let the planting commence! Wondering which plants will work best? Our Garden Arches Pinterest board is brimming with stunning ideas. Have fun dreaming up and making all those magical gardens out there.